Need Silverfish Removal In Perth? Are you looking for Silverfish removal in Perth? Outside, Silverfish are found under bark and litter. However, when they migrate inside homes they can become a destructive pest. Silverfish feed on paper, glue, silk, starches and fabrics and can live up to six years. 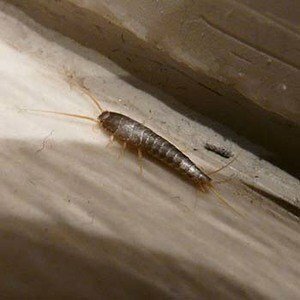 Because they cannot gnp smooth surfaces with their scaly bodies, Silverfish are often found in basins, bath tubs and on and around ceramic tiles. They are commonly found in roof spaces and are associated with internal face brick surfaces. Silverfish can live up to a year without food. Silverfish are covered under both Pest Packages where the roof space is treated with Coopex powder.